Come celebrate your Birthday, Graduation, or any other occasion at 3rd Universe. We can accommodate groups of up to 40 people! 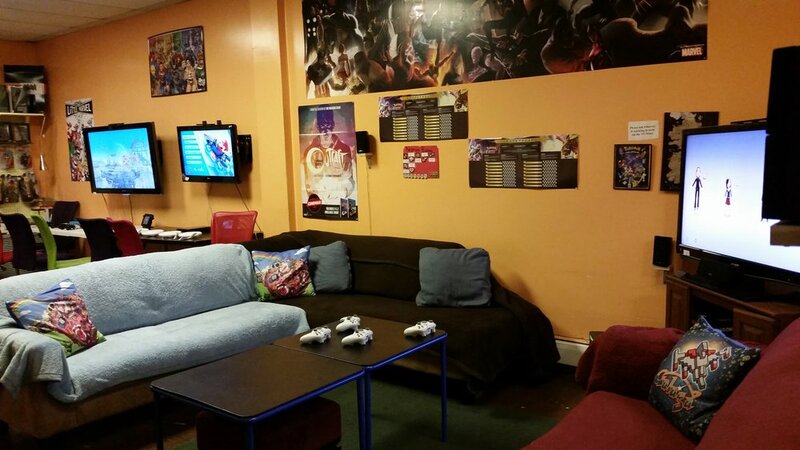 Bring your group in to enjoy our gaming systems, computers, pantry area, tables, couches & chairs. Make as much noise as you want! You supply the food, beverages, & decorations, and we’ll take care of the cleanup afterwards. The party experts at 3rd Universe will provide pizza, snacks, birthday cake (from Baked by Susan), water, and decorations! This is the no-fuss, no-muss option that parents adore. You just show up and we’ll take care of all the rest.